There’s no dearth of local designers in Pune and you won’t have to struggle too much to find a designer who understands your style and fit. 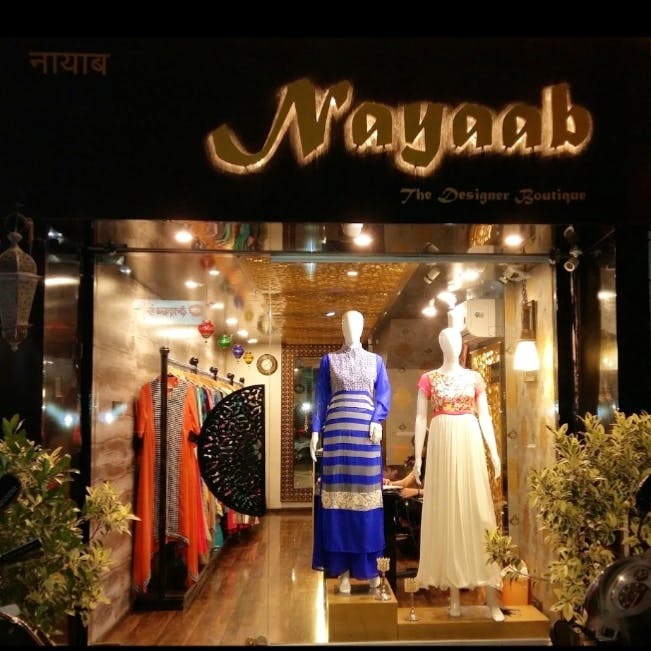 Nayaab Boutique in Deccan Gymkhana is your neighbourhood designer who’ll quickly design and fit you into a kurta or tunic. Aren’t you tired of fast fashion? Everyone is always wearing the same kurta or tunic they bought at a departmental store. Doesn’t matter how many brands a store stocks, you’re bound to find someone who’ll have the same outfit as you. Fix that problem by hopping to Nayaab boutique, where designer Puja Jani designs and adds her collection that you can pick from. Jani turns contemporary prints into more Indianised cuts that are suitable as everyday workwear or when you’re in the mood to don a kurti and be comfortable through the day. Starting at INR 700, you can get a basic fabric cut and stitched to your liking. The cost of stitching is 450 and the rest depends on the style and fabric you choose. We liked a few ombre tunics that were awaiting customers and other simple kurtis with minimal lace and patches stitched for detailing. You can also pick up basic leggings here to style your kurta and tunic with. You can also get a complete ensemble. Whether you’re looking to get a salwaar-kameez, or churidar stitched, Jani does it all. Give Jani a budget and she’ll have your outfit ready for any kind of occasion from everyday looks to something that’s more fit for a wedding. We would love to see some fabrics and ready dupattas to choose from, if we’re here to get an outfit made. It’s a great way for a designer to showcase what kind of prints and materials she’d love to work with. Get some tunics and kurtis stitched for everyday workwear and ditch fast fashion for a bit.